Bulgemeister ..... apparently: Bulgemeister? .... Here! 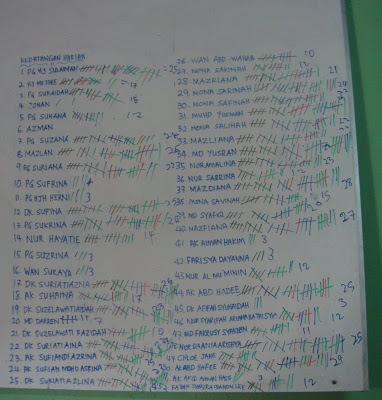 It is actually a board at home where our attendance for the daily sungkai was recorded. Every day after sungkai, one of the kids would shout out our names and we would have to respond to that. Apparently, I could only manage 17 (out of 30) sungkai's at home this year!